Higher credit growth, resilient NIMs and fall in slippages should help bottom line growth. IDBI Capital says banks’ credit growth improved to 15.1% in Q3. NIMs may be flattish on the back of decent increase in lending rates. Kotak says provisions will be high as focus would be to reduce NPAs. The early birds from the banking sector may not have delivered any positive surprise, but analysts still expect dom estic lenders to report some good earnings for December quarter. Higher credit growth, resilient net interest margins (NIM), healthy treasury income and some moderation in slippages should help bottom line growth, they say. IDBI Capital Markets says banks’ credit growth improved to 15.1 per cent in the October-December period from 12.5 per cent in the previous quarter and 10.7 per cent in June year, thanks to a slowdown in the NBFC space and high corporate bond yields. “The services segment has grown 27 per cent, driven by a 56 per cent growth in NBFC loans. Growth in the corporate segment has turned positive with 4 per cent expansion. The retail segment is growing steadily at 17 per cent. Credit cards and personal loans are growing at 34 per cent and 25 per cent, respectively. Deposit growth is modest at 9 per cent. The credit-to-deposit ratio stood at 78.6 per cent, an all-time high,” the brokerage said. NIMs are likely to be flattish to slightly better on the back of decent increase in lending rates over the past six months. The 10-year GSec softened over 65 basis points during the quarter. As a result, PSU banks are expected to report healthy treasury profits. “Corporate banks are likely to report lower slippages. Banks can utilise higher treasury gains during the quarter to shore up provision coverage,” IDBI Capital said. YES Bank may show higher slippages as well as higher loan provisions for its exposure to IL&FS group. Emkay Global Financial Services says accelerating loan growth, stable margins and treasury gains should lead to a healthy pre-provision operating profit (PPoP) growth for the banks, while investment provision write-back (net of deferred provisions) should accelerate NPA provision cover and still banks should report reasonable earnings growth. “We are factoring in around 20 per cent YoY growth in earnings for our coverage universe (excluding SBI), with private bank growth expected at about 14 per cent YoY,” the brokerage said. Kotak Institutional Equities says provisions will be high as focus would be to reduce gross or net non-performing loans (NPL) ratios. In the banking space, Kotak has a positive outlook for corporate banks, including ICICI Bank and State Bank of India. In the retail lending space, the focus will be on the revenue composition of HDFC Bank. Third-party fees would be lower considering lower volumes of business and revision on upfront/trail fees from mutual funds. YES Bank is likely to see a sharp slowdown in business growth and its impact on earnings. The focus would be on the balance sheet given the recent developments. With RBI allowing restructuring of SME loans up to Rs 25 crore, the imminent risk of stress flow from the SME sector has been postponed for now. The impact of farm loan waiver in a few states will be largely split between third and fourth quarter, with the bulk of the pain reflecting in 4Q mainly in crop loans. “Retail asset quality is holding up well except for some stress in the LAP segment. On an overall basis, NPA formation could be largely contained, which coupled with improving loan growth, should lead to lower NPA ratios QoQ, Emkay said. The brokerage expects HDFC Bank, ICICI Bank and Federal Bank to report strong earnings growth and asset quality performance in the private lending space, while Axis Bank and YES Bank should report subdued performance. In the public sector space, SBI and Canara Bank should report strong earnings growth in 3Q led by better credit growth, margins, and treasury support, it said. “Bank of Baroda is likely to report healthy earnings growth like in the second quarter. However, the risk of higher IL&FS exposure and the merger of Vijaya and Dena Bank will keep the stock under pressure. 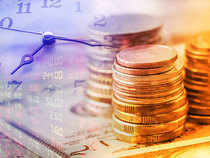 After the heavy capital infusion to come out of capital default, Bank of India is likely to accelerate its otherwise higher PCR to reduce NNPA below 6 per cent even at the cost of reporting heavy losses, and should come out of PCA (Prompt Corrective Action),” Emkay Global Financial Services said in a report.